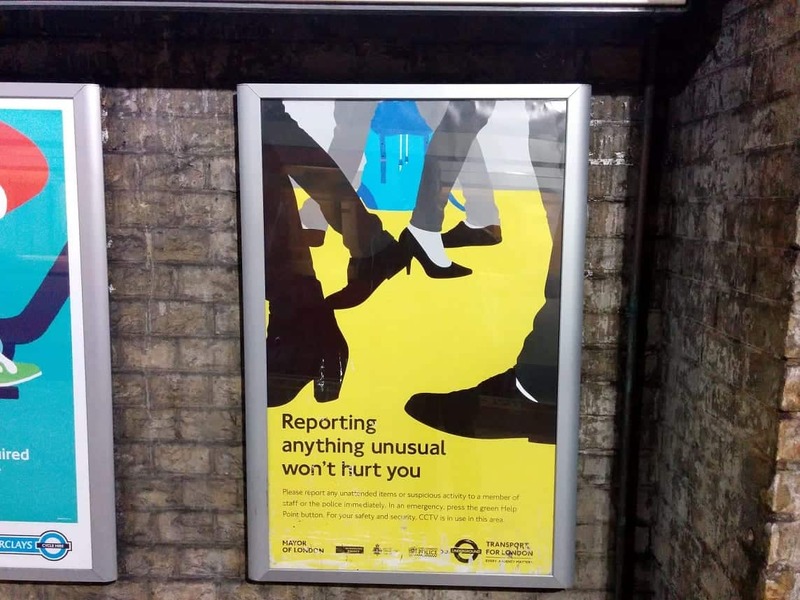 A man has been injured on the London Underground after reporting something unusual. In a damming indictment to widely broadcast publicity campaigns, the 41 year-old IT professional was smacked around the head by a loose advertising fitting after spotting an unattended bag. To add insult to injury, he was then barged onto a platform after being careful when alighting, sustaining minor bruising. “Despite their assurances, I’ve been battered black and blue by tfl this morning,” the beligured commuter said. A tfl spokesperson said they’re looking in to a new ad campaign to warn commuters on the dangers of taking previous ad campaigns too literally.